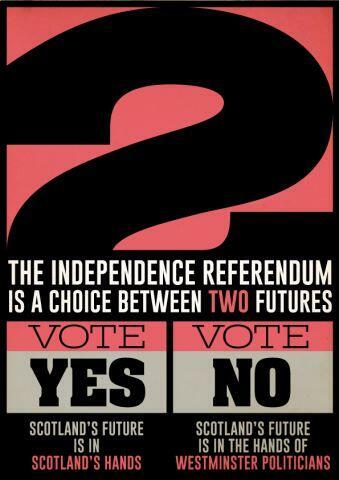 The Yes to Scottish Independence campaign have released this nicely art directed piece of communication. The real challenge with creating communications for the independence referendum is to deliver a simple message when the issues are often relatively complex constitutional matters. This image nicely conveys the broad emotive sentiment of the Yes campaign which is “our future should be in our hands”. It doesn’t get bogged down in the detail of currency unions, tax relief on savings or EU ascension. The Yes Campaign obviously don’t feel they’re at the stage where wavering voters will respond well to communications which don’t at least pretend to be ‘giving information about the vote’. But I wonder how much longer until they ditch any pretence at rational information giving and go purely for the gushy stuff. Next Employing your cleaner illegally?